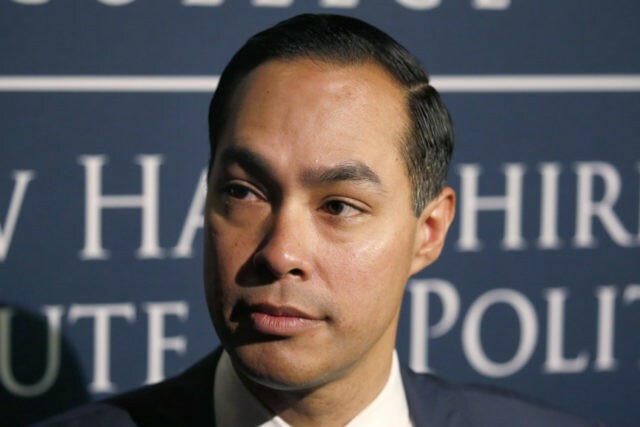 Democratic presidential candidate Julián Castro offered a far-reaching plan to remake the nation’s immigration policy Tuesday with a new call to end criminal penalties for migrants entering the country without permission and a plan to remove detention as a tool for most immigration enforcement. Castro also wants to amnesty the population of at least 11 million illegals in the United States, to accelerate the chain-migration of foreigners into the United States, to boost the inflow of refugees, and to end construction of a border barrier. He would also block the power of ICE to enforce the nation’s immigration laws, so further reducing the already small threat of repatriation for the growing population of at least 11 million illegals in the United States. Castro’s mother, Maria del Rosario Castro, or Rosie Castro, was a major leftist organizer who co-founded La Raza Unida, an extremist third party separatist group in the 1970s. La Raza Unida literally translates to “The Race United,” and the group sought to create a new country in the American Southwest called Aztlan. Breitbart News has run a number of pieces over the years on this group and the Castro family’s connections to it, but perhaps the most interesting thing about Castro’s presidential campaign launch is that he did not shy away from this radical upbringing; he embraced it. The Washington Post reporter, Michael Scherer, did not ask Castro how Americans voters would gain or lose amid of flood of blue-collar and white-collar labor. The reporter did not address how a massive rise of the immigrant population would help lower-income Americans keep their homes in neighborhoods that are already seeing rising real-estate prices, such as New York and Los Angeles. Instead, Castro and Scherer treated the migration issue merely as a matter of the migrants’ welfare. This skew hides the greatest economic impact of migration — the transfer of blue-collar wages and white-collar salaries earned by ordinary Americans and legal immigrants up to wealthy, older recipients, including investors, CEOs, and real estate owners. That approach dismisses the strong evidence that the migrants are rationally exploiting the many legal loopholes which are being held open by Democrats, judges and business lobbyists, to win jobs and residency for their children in the peaceful, prosperous United States. Scherer did not reply to questions from Breitbart News. The focus by Castro and Scherer on the migrants’ welfare and on humanitarian concerns also echoes the bipartisan claim that the United States is a “nation of immigrants,” not a nation of and for Americans. The voting public is likely to strongly oppose Castro’s open-borders and cheap-labor policy. Some Democratic strategists are wary of turning off white voters in swing states of the upper Midwest who Trump has been able to sway with anti-immigration rhetoric. Amnesty advocates rely on business-funded “Nation of Immigrants” push polls to show apparent voter support for immigration and immigrants. But “choice” polls reveal most voters’ often-ignored preference that CEOs should hire Americans at decent wages before hiring migrants. 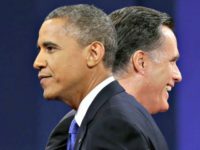 Those Americans include many blue-collar Blacks, Latinos, and people who hide their opinions from pollsters. Similarly, the 2018 polls show that GOP voters are far more concerned about migration — more properly, the economics of migration — than they are concerned about illegal migration and MS-13, taxes, or House Speaker Rep. Nancy Pelosi.